This article was originally published by Healthy Homestead. I bet you are asking yourself how those celebrities can look that young. Let’s take a quick look at some of the most beautiful celebrities and their age. Jennifer Lopez is 46 years old, Sarah Jessica Parker is 50 years old, Marisa Tomei is 51 years old, Monica Bellucci is 51 years old, Sandra Bullock is 51 years old, and the list goes on. Now, a lot of that can be attributed to their expensive cosmetic treatments. However, I can tell you for sure that there is a way to look way younger without spending a ton of money. All you need to do is apply a simple face mask on a regular basis, and you will look at least 10 years younger after a while. Rice has been associated with a healthy diet, however, it can also provide you with beauty benefits that you may not have realized. Rice possesses antioxidants which are known to help delay and minimize the appearance of wrinkles and to slow the process of aging. Rice powder is also used in certain Asian cultures to heal skin irritations and to treat acne. How to get rice water? Simple, you cook rice. 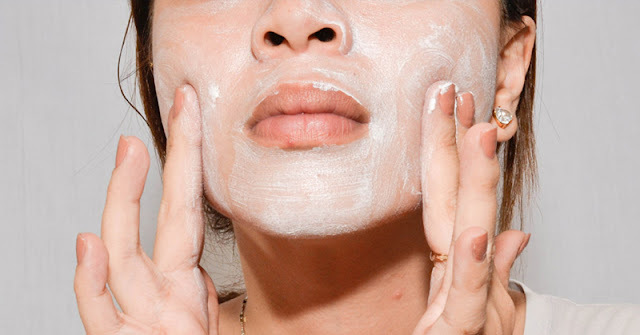 In order to get the basic ingredient for this face mask, you need to cook three tablespoons of rice in cold water (preferably around 150-200ml). Cook the rice until it softens, and then drain the rice. Now, make sure to keep the water in which the rice was cooking, as that is the rice water that is the core ingredient for this mask. As for the cooked rice, wash it with cold water. Remove the rice from water, and add one tablespoon of honey and one tablespoon of milk to the mixture.